The theorists of art and film commonly depict the modern audience as aesthetically and politically passive. In response, both artists and thinkers have sought to transform the spectator into an active agent and the spectacle into a communal performance. 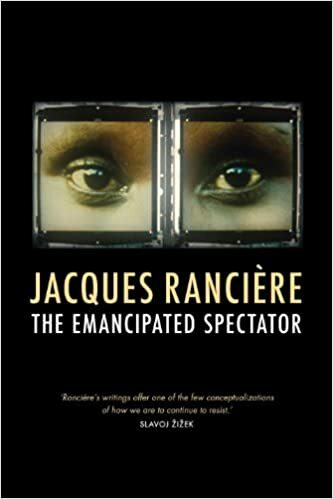 In this follow-up to the acclaimed The Future of the Image, Rancière takes a radically different approach to this attempted emancipation. First asking exactly what we mean by political art or the politics of art, he goes on to look at what the tradition of critical art, and the desire to insert art into life, has achieved. Has the militant critique of the consumption of images and commodities become, ironically, a sad affirmation of its omnipotence?